The i newspaper is raising its cover price to 50p, in line with The Sun, claiming Brexit as one of the reasons for the 10p hike. Editor Oly Duff announced the rise to readers in an editorial letter ahead of it coming into effect from Monday. 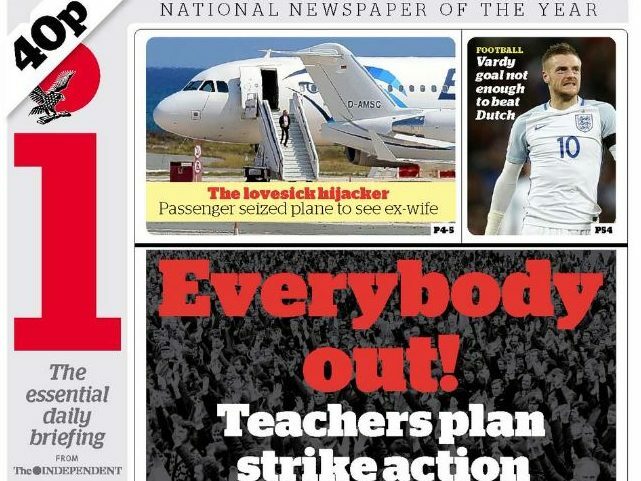 It is the first price rise for the i since Johnston Press took it over in March. Former owners the Lebedevs, who launched the concise national daily at 20p in October 2010, twice upped its cover price within 12 months, increasing it to 40p in February last year. 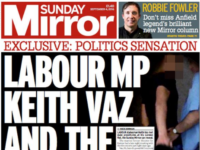 Duff said the pound’s fall in value following the vote to leave the EU had pushed the cost of newsprint up by 8 to 12 per cent – “a considerable annualised sum for publishers”. The i, which was one of the only national newspapers not to declare either way for Brexit, will also put up the price of its Saturday edition by 10p to 60p from next week. Duff said that a price increase had been scheduled by the Independent six months ago, but Johnston Press had delayed it “until absolutely necessary”. Subscribers will not be affected by the hike, however, with prices remaining at 21p a copy for those paying £16.25 every three months for their paper, including free access to the i app. Duff told readers: “Seeing so many people turn to quality news providers in the aftermath of the Brexit vote has been reassuring, but the challenging environment in which journalism operates will not have escaped you. When we launched in 2010, we lost a lot of money. The i recorded a year-on-year rise of 8 per cent, with an average total circulation of 297,453 copies, in the latest ABC figures. It has seen four consecutive months of growth under Johnston Press.